Alex Aragon is an Electrical Contractor specializing in off-grid and back-up renewable energy since 2002. 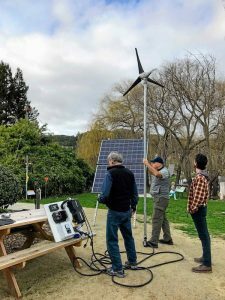 He has raised a family in Willits CA while making renewable energy independence available to more people through business and as an Instructor for the Solar Living Institute. Alex can help you learn how solar energy can improve your life and reduce your dependence on fossil fuels.